Archive by Category "Auto Alignment"
Perhaps Longmont residents have heard about wheel alignment, and how important it is, but they don’t know exactly why. The reality is that it is quite important for helping one’s tires perform as they should while ensuring that the car doesn’t pull in one direction or another when it is supposed to be going straight. When one is getting their alignment assessed at a service center in Longmont, they’re getting the suspension of their car adjusted. The suspension is the system that ties the wheels of a car to the rest of the car. The name is a bit misleading because, despite the fact that it is often called wheel or tire alignment, one doesn’t refer to an adjustment of the actual wheels. When this alignment is properly done, the angle of the tires is just right for them to have good contact with the road. When one’s alignment in Longmont is properly done, there are a few benefits that come to mind. First off, the tires will last for a longer time, while the vehicle will be easier to drive. Not to mention that less energy will be needed for the car to do its job, which could also result in less money being spent on fuel. As mentioned earlier, an uneven alignment leads to tires wearing out unevenly. So, why is this a problem? When a vehicle’s tires are worn out differently, it could lead to issues with the steering and suspension components. This, in turn, can cause a whole host of problems, which is why if this happens, those components will need to be replaced, leading to big expenses. One of the biggest signs of a faulty alignment is one’s vehicle pulling to either the right or the left. In addition, if the tires are showing signs of wear that is either uneven or just extremely fast, it could be yet another sign that a mechanic should fix the alignment. Finally, another sign of issues in this department are squealing tires. While in most cases, the alignment should be done by a professional, there are things one can do at home to prevent misalignment or to fix it. For starters, one shouldn’t drive around with a lot of stuff in their trunk, since this can lead to an uneven weight distribution of the car, which can throw the alignment off. Another thing one can do is ensure that their tires always have the correct amount of air pressure. Wheel alignment is one of the crucial maintenance steps that should be done to your car. Doing this regularly can help ensure that your car is performing at its best. Moreover, it can help guarantee better fuel economy and improved handling. There are lots of reasons why a car would need a wheel alignment. For instance, if you’re driving in Longmont and hit a pothole, chances are your wheels will need an alignment after that. There is nothing to worry though because this is easy to do. Just bring in the car to a maintenance service facility and they’ll do the trick for you. Properly aligned tires have a longer lifespan. Since the suspension system is in the right orientation, the tires are also in the right orientation. If not, this can lead to uneven wear and tear of the tires, which can lead to a shorter lifespan. With a longer tire lifespan, you can save on getting new tires in short periods of time because your old tires can serve you longer. Aligned wheels are easier to drive. If you are a long-distance driver, you would appreciate the comfort of having aligned wheels. You won’t have to spend extra effort to turn and maneuver your car. Even if you’re a city driver, you would definitely appreciate the comfort that aligned wheels provide. When to Get Wheel Alignment? If you’re experiencing any of these signs, you should immediately seek help to align your wheels. Neglecting it can lead to more serious and more expensive problems. It doesn’t take a lot to do this so it is best to get it done immediately. When Do Tires Lose Their Alignment? While it’s not possible to avoid every single bump, thump, curb, and pothole while going through one’s day, these impacts can affect the way the tires fit on the car. This becomes especially true over time, as while small impacts may not make much of a difference, they can have a cumulative effect. Larger impacts can also have a dramatic effect on the way that the car’s tires fit, changing it all at once and making a big difference at one time. New tires can also be lined up incorrectly on a vehicle. When this is the case, they’ll need to be serviced so that they are set up correctly and wear correctly, otherwise the wear pattern will be strange and the tires themselves won’t last as long. This can lead to increased vehicle maintenance costs over time, while scheduling regular appointments could keep these costs much lower. Over time, regular wear and tear can cause dramatic damage to a set of tires. Simple mileage put in, time on the road, and exposure to road hazards can create major issues. These seemingly simple issues are easy to ignore, but they can cause the wear pattern in a set of tires to vary dramatically from what it should be, until they need to be adjusted on the vehicle. If one doesn’t do this, serious issues can develop. A skilled mechanic can take the time to adjust them for the driver so that they wear more evenly. Tires aren’t just a set it and forget it vehicle part. They require ongoing maintenance, they need to be adjusted regularly for wear and tear, and they need to be checked periodically to make sure that they are safe to use. This type of maintenance helps ensure that the car is safe to drive and that one isn’t risking an accident or blowout caused by a damaged tire. This periodic maintenance is a crucial part of automotive safety and allows the driver to take the best possible care of their family while behind the wheel. 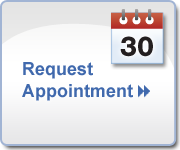 Those who own a vehicle should take the time to regularly schedule an alignment in Longmont. This essential service helps ensure that it is safe to drive at all times, and that everyone in the family is protected during each road trip. When a car’s wheels are out of alignment, it can cause a whole slew of other problems. For instance, the tires will wear unevenly, which means vehicle owners will have to replace one or two much sooner than necessary. Bad alignment also hurts a vehicle’s fuel economy, as the wheels that are not aligned will drag and cause friction. This means the vehicle has to work harder to move forward, which uses more gas. Circumvent problems with wheel alignment in Longmont by watching for the following signs while driving the car in question. 1. The car seems to want to pull to the left or right on its own. This means the driver has to constantly correct the steering so the car doesn’t drift to the left or the right. The driver might also feel the steering wheel pulling to either side if they relax their grip. This is a good sign the alignment needs to be checked, but it can also mean a couple other things. For instance, if the car wants to list to one side, it might simply mean that the air pressure in one tire is low. 2. The front tires are unevenly worn – the tread might be entirely worn off on one of them. This is a good sign that the tire in question is not aligned in the right direction, and is therefore being “dragged” at the wrong angle. Pay attention to a tire with a tread that is almost or completely worn away along an outside or inside edge. 3. Steering isn’t as responsive as it should be. If turning the steering wheel isn’t smooth and easy, the problem might be the wheel alignment. If the steering feels heavy or difficult to turn, the alignment should be looked into. Additionally, after rounding a corner, the steering wheel of a vehicle with bad alignment will not re-center itself as it should. Drivers and car owners should not forget that driving over potholes, large bumps, or rough road can all contribute to throwing the wheels out of alignment. The chances are also better for this problem when drivers must travel through areas of rough weather that effect road conditions, like heavy snow and ice. People who live where they may encounter these types of conditions need to have their alignment checked at least yearly. If a vehicle is displaying any of the above signs, it should be taken to a car repair or auto body shop to have the wheel alignment checked. This is essential to do, because some of these signs may also point to other problems. Either way, it’s important to get a vehicle looked at with any of the above warning signals, because if ignored, the issue may only worsen, and might end up affecting the power steering or the suspension components. In regard to driving and safety, it’s always better to be safe than sorry. West of the Longmont area one can find some great ATV and off-road trails. These trails beckon to sportsmen and women who love to spend the day on a riding adventure. It’s no fun, however, to hit a chuck hole or root or bump and throw the vehicle out of alignment. After the ride is over, it can be a hassle to find a good shop in Longmont that does alignments. Before one goes out, it can pay to locate a good repair shop that can keep a vehicle ready to hit the trails. Why Get your ATV / 4×4 Re-Aligned? An ATV’s steering, suspension and wheels all have to be aligned to keep it running straight, versus pulling off to one side. What happens when a three or four wheeler needs realignment? Shops today use advanced systems and software to realign three wheel and quad ATVs. Proper alignment keeps the ATV’s steering and tread wear in optimal condition. How Often Should an ATV / 4×4 Get Aligned? It’s recommended that a passenger car get its alignment checked at least once a year. If one is riding often on challenging terrain, it may be a good idea to get an ATV’s alignment checked more often than that. What are Other Benefits of Proper Alignment? · Safety – When a vehicle is properly aligned, it functions well and keeps the rider safe. · Time effectiveness – An alignment at the shop doesn’t take very long. It saves the rider from having to perform the task, which is often performed better by an expert. Another great benefit to bringing an ATV in for alignment service in Longmont is that it can be checked for other issues. Just like with a car, it’s important to set up a regular maintenance schedule for one’s ATV. The shop mechanic can recommend the best maintenance schedule. Riders who keep their vehicles maintained can spend much more time enjoying the outdoors. By following the above repair and maintenance tips, one can look forward to many fun hours off-roading near Longmont. It can really pay to find a good repair shop before one needs to bring the ATV in for work. Establishing a relationship with a mechanic can deliver multiple benefits to ATV owners, including a safer time on the trails.